- IRAK – Nuzi - Degryse, a research professor from Katholieke Universiteit Leuven, was on one of his twice-yearly pilgrimages to Harvard to examine the Semitic Museum’s archaeological collections. He is also meeting to discuss progress on a project to investigate glass from the ancient Mesopotamian city of Nuzi, which was destroyed in 1,350 B.C. Though less spectacular than the far younger Roman specimens, the glass from Nuzi is in some ways the crown jewel of the ancient glass collection, according to Joseph Greene, assistant director of the Semitic Museum. Excavated in the 1930s by an international team that included Harvard archaeologist Richard Starr, who was associated with the Fogg Museum of Art, the Nuzi finds were divided between the Semitic Museum, which received historic-era materials, the Peabody Museum of Archaeology and Ethnology, which received prehistoric items, and the Harvard Art Museums, which received items created as art. At the Semitic Museum, the Nuzi glass collection has something going for it that some similar collections do not: clay tablets. The excavation of Nuzi turned up not only glass artifacts, but also thousands of clay tablets, marked in cuneiform, one of the earliest forms of writing. The tablets describe the society of the day and, when combined with the material excavated from Nuzi, create a powerful resource for scholars seeking to understand the Mesopotamian region of more than three thousand years ago. - FINLANDE - Levänluhta spring – Motala - In Populär Arkeologi 2011:2, Anna Wessman reports on her recently defended doctoral thesis (on which my friend Howard Williams was the opponent) about the Levänluhta spring site in SW Finland. The spring is full of human bones and artefacts of the mid-1st millennium, and it has generally been considered as a sacrificial site. But Wessman shows that the actual artefact finds are typical of burial sites at the time. Levänluhta may simply be an unusual burial site, wet collective inhumation instead of the typical dry collective cremation. More fieldwork is on the way, and I will follow it with great interest. (Tarja Formisto's 1993 PhD thesis about these bones contains something rather unusual: a piece of latter-day ethnic craniometry!) Anne Westermark and Jimmy Axelsson Karlqvist report on another wet site with Iron Age human bones: in Motala, right around the famous Mesolithic deposits by River Motala ström. There are many Mesolithic human bones there too including skulls once raised on poles in a lake, but the new ones date from the 3rd or 4th century BC. 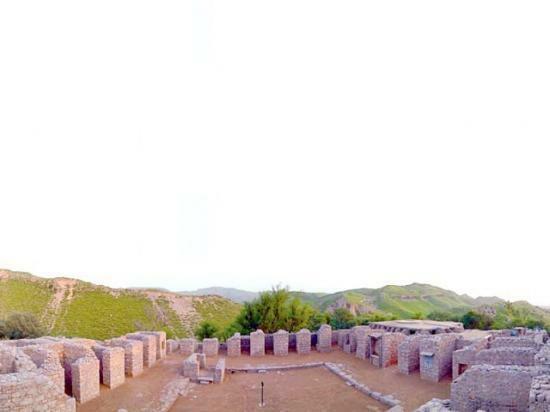 - PAKISTAN – Khyber-Pakhtunkhwa (K-P) - A total of 91 archaeological sites in Khyber-Pakhtunkhwa (K-P) are set to get a new manager. These sites, previously under the control and supervision of the Federal Archaeology Department, will be handed over to the K-P Department of Archaeology. 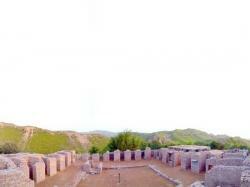 These sites, which are scattered in nine districts of the province, include 17 ancient Buddhist sites in Taxila. The federal government has already issued a circular asking the K-P government to take control of 91 archaeological sites and monuments in Dera Ismail Khan, Swat, Mardan, Swabi, Charsada, Banu, Malakand, Haripur, Abbottabad and Mansehra. 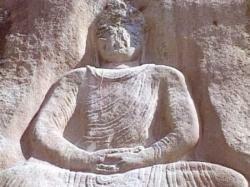 These sites include seven of the 17 Buddhist sites in Haripur District.The Buddhist sites in Haripur include a Buddhist Monastery from around 300 BC, commonly known as Julian University, Jinan Wali Dheri, Jandial Stupa, Badal Pur Stupa, Mound Pind Ghakhra, Tofkian Stupa, Mirpur Mound, Sirsukh, Piplian archeological site, Lalchuk Stupa, Chiti archaeological site and Bhir mound. These sites are among the most frequently visited by foreign tourists, especially Chinese, Bhutanese, Sri Lankans and Koreans, and are a major source of revenue. - ROYAUME UNI – Fort George - A hundred army officer cadets have fired working replicas of 18th Century muskets and a cannon on a military range at Fort George in the Highlands. Archaeologist Dr Tony Pollard and engineer Alan Birkbeck, both of Glasgow University, led the training using lead balls and grape shot. The replica half-tonne cannon used was built by Mr Birkbeck and first test fired in 2008. The muskets were replicas of the Brown Bess used by government and Jacobite forces at the Battle of Culloden in 1746. Muskets were not thought to be accurate beyond 80 yards (73m) and in battle were fired in large numbers to take down ranks of opposing troops. - USA – Arizona - Hundreds of archaeological sites are under threat from a weeks-old, still raging wildfire in eastern Arizona. The majority of the threatened sites once belonged to the Mogollon culture, a Native American farming civilization that occupied the region between around the year zero and A.D. 1500. Among the more exceptional sites are areas with standing architecture as well as rock shelters and cliff dwellings with "exceptional preservation. Ancient rock paintings are also at risk. Archaeologists expect many of the Mogollon sites to survive the Arizona fires. Most of these sites have been abandoned for at least 500 to 1,000 years, so over that time they've stabilized and have probably been burned over before. The majority of the artifacts—mostly fragments of ceramic bowls and jars and stone tools and weapons—are also relatively fire resistant. - FRANCE – Toulouse - Le secteur du square Charles-De-Gaulle intéresse les archéologues de l'INRAP qui vont y démarrer une campagne de fouilles préventives, espérant trouver les vestiges de la ville médiévale, en plein essor à l'époque des Capitouls. « Toute cette zone appartient au secteur de la « maison commune », siège du pouvoir municipal à partir du XIIIe, où les consuls de Toulouse dirigeaient les affaires de la ville. C'était un ensemble de bâtiments adossés à l'enceinte romaine, bien situés entre la cité antique et le bourg médiéval » explique Jean Catalon, coauteur avec Quitterie Cazes du livre « Toulouse au Moyen âge », publié en novembre 2010 par les éditions Loubatières. « Il y a peut-être sous le square du bâti médiéval et des vestiges de l'occupation romaine », poursuit l'archéologue. « Le rempart du Ier siècle passe là, près de la poste. On a déjà trouvé des vestiges du petit consistoire dans les sous-sols du Donjon. Mais il y a assez peu d'éléments sur les bâtiments médiévaux dans ce secteur du centre ville. Chaque fouille apporte une pièce supplémentaire au puzzle ». - USA - Washington County - Tourism and archaeology come together in Hagerstown in an exhibit of artifacts from three digs in Washington County. It showcases items from a 19-century plantation near Cearfoss; a 2,000-year-old Native American tool-making site near Mount Aetna; and French and Indian War military activities at Fort Frederick. - SRI LANKA – Kantharoadai - Material excavated recently at Kantharoadai in Jaffna, belonging to pre-Buddhist Megalithic period, and could be dated to roughly 3000 years before present, are planned to be taken to Anuradhapura museum in the south, informed sources in Jaffna said. According to news reports, the excavation has been ‘jointly’ conducted by the Sri Lanka Department of Archaeology and the Department of History and Archaeology of the University of Jaffna. Even on all earlier occasions, valuable material excavated from important archaeological sites of the Tamil country in the island such as Maanthai in Mannaar and Kantharoadai in Jaffna were taken to Anuradhapura or Colombo and became unavailable for Eezham Tamils to present their heritage in their own land.